Many people outside of the repossession industry don’t realize what is really going on. They still see cars on the roads and in a big way. Do they notice that most of the cars are new? No, not really. The used car market has dried up for several years now. People with bad credit are holding on to their cars much longer. These days when you look at auto auction inventory you see cars with much higher miles typically. Not uncommon to see cars with 200k to 300k miles selling for twice as much as it was 5 years ago. Car dealerships are taking in trades that are barely breathing and this is what makes it to the auction. The used car market has dried up, used car dealerships are a dime a dozen and as soon as one opens another closes. However, the buy here pay here lots are doing well also due to major credit disabilities. 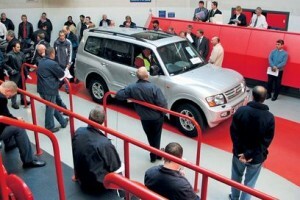 Since we do liquidation and remarketing as well, we are always at the auctions and we see first hand what is going on. It’s not pretty. The auctions used to be a great place for work, but the nations largest auto auction Manhiem just a few weeks ago laid off thousands of workers across the board. Always plenty of repossessions going through, but very light on the car dealer trades. Our new ever changing culture dictates new car sales will prevail. For this reason, I say repossession will be much better and growing in the near future. We walked into one of the busiest Manheim auctions last week and asked the front desk where is everyone and she let us know. Very sad to see all those people go after building careers for so long. What we once had in the United States is surely gone and never coming back. But we have to continue to move forward and work hard, be creative and whatever it takes. What will we do without the auctions? If Manheim was to close we would have to start getting real creative.